Review: It was already my third serving of Ghanaian okra stew as I greedily lapped up the remains. 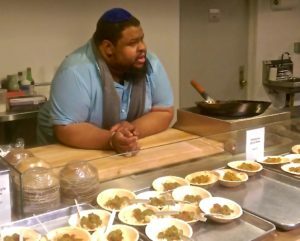 It had been an amazing lecture with Michael Twitty, author of The Cooking Gene, at the Museum of Food and Drink, and all this talk of food made me ravenous. Spicy is hardly the word to describe the fierce and unforgiving heat of the Ghanaian stew. Like an abusive girlfriend, I just wanted more. 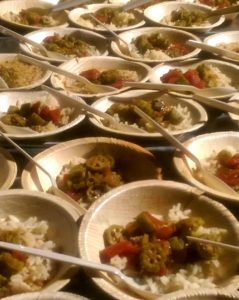 The second okra dish inspired by the South told a different, nuanced story of layers of sour, salty, spicy and sweet flavors. It had a certain heartiness made by someone who wants to feed you. Both dishes had humble ingredients but carried elements of different heritages, capturing the essence of what the evening is about. In the South, “we are a related through culture and food,” according to Twitty whose name derives from a former slave owner and fifth generation great-grandfather. Proudly African-American, Jewish and gay, he is anything but typical. But he is a “Southerner first and American second.” For many of us in the audience who knew little of the South, it was an eye-opening experience. Far from a backwater, the South is a mosaic of micro-regions. “It is a mother of millions, and people who left the South still hold roots,” Twitty explained. Its cuisine comes from different backgrounds. Grits are among the oldest in America’s culinary repertoire from indigenous tribes. Then of course, there are the darker historical episodes: slavery, the Civil War and subsequent Segregation that often come to mind when outsiders think of the South. But even as Twitty calls enslavement “the ultimate sin” he reminds us that the interaction between different communities should not be ignored. Pre-Civil War Southern life wasn’t always as segregated. As Guardian correspondent Gary Younge once said, black nannies had often raised the white children of the Southern plantation. As per Twitty, these slaves put an African stamp on the cuisine of the mansions. Through them came Southern staples such as rice, creole and cajun style cuisine. Yet, their contribution to Southern culture went beyond food as even their hymns and melodies became the sound of the South. In visiting the South, Twitty found that food creates bridges between different people. “When you have dialogue, people’s defenses breakdown,” he remarked. 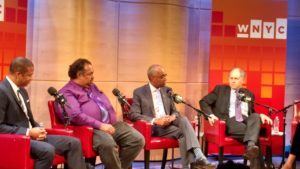 It reminded me of a talk with blues musician and writer Daryl Davis who met (and ended up befriending some) members of the Ku Klux Klan for his book Klan-Destine Relations. “People start to talk and find commonality.” Twitty also had his own share of awkward experiences during a breakfast with Confederate soldier reenactors and their proud display of controversial Confederate battle flags. White or black, many in the South share common ancestry and even greet each other with, “Who are you kin to?” Twitty said. “We are related in the South” through culture, food and even blood. In Chapel Hill, North Carolina and elsewhere, he discovered he had both white and black relatives including farmers, reporters and even actor Samuel Jackson. In one instance, standing in front of the former plantation of his fifth great-grandfather, he learned that a distantly related white family had also visited the mansion just weeks prior. Today, the memory of the pre-Civil War Southern life has almost completely faded. There are newer communities of immigrants. Regardless of heritage, the South has integrated them. “I had to get passed the ‘salt n’ pepper’ frame of mind,” he said. 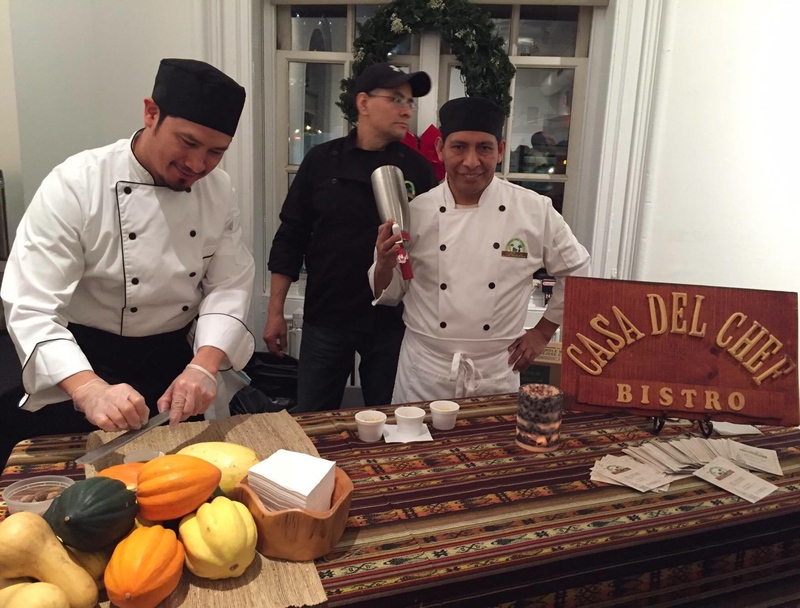 There are Vietnamese, Mexicans and among others who are further shaping Southern identity. Twitty’s personal journey reconnecting with his ancestral roots made him equally embrace both the good and bad. Not all publishers, however, warmed at first to his book, The Cooking Gene. Yet, his research of food and family heritage paints an intimate portrait of the sometimes misunderstood Southern states. Like his eclectic okra stew we had tasted, the South is an overlapping, collage of identities and generations of beautifully woven layers of flavor. 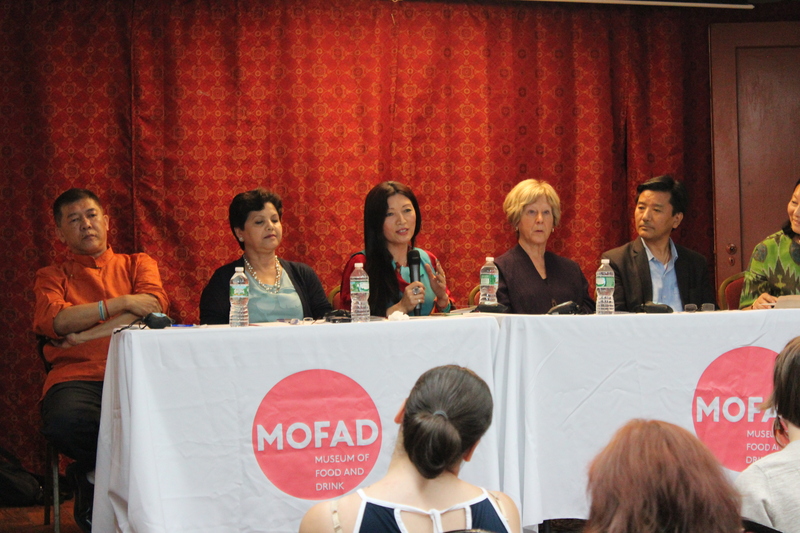 For more on upcoming events, please visit MOFAD. 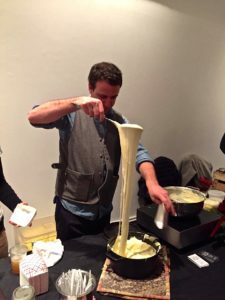 Review: “Is cheesemaking an art, science, or craft?” asked Mateo Kehler, co-founder of Cellars at Jasper Hill Farm cheeses in Vermont. If you guessed the latter, Mateo and fellow cheesemakers in the Northeast would probably concur. 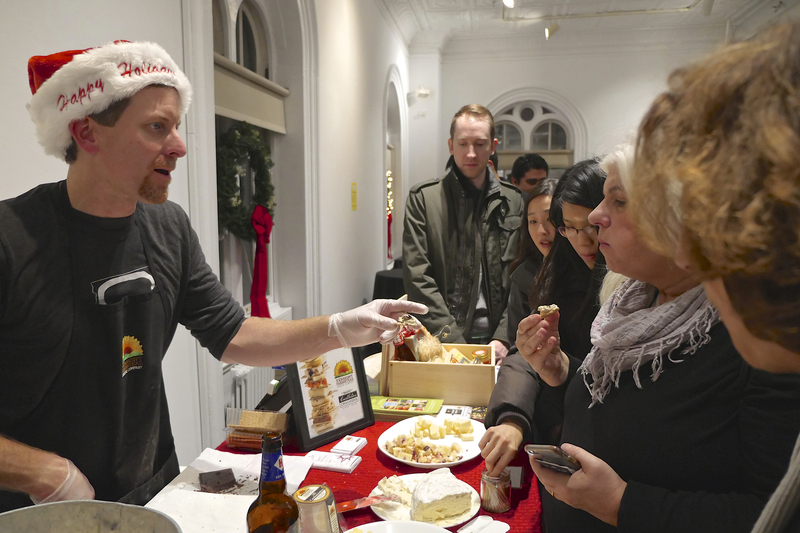 Many of the cheese producers participating at this year’s Great Northeast Cheese & Dairy Fest at the historical Flushing Town Hall came into the industry almost by accident. But to call them dabblers in cheesemaking would be a gross understatement. They have had to master their craft and understand the science ins and outs of making the perfect cheese. With their knowhow and precision, nothing is left to chance. They have all had to research the techniques of making the perfect cheese. Like Mateo, many have worked throughout Europe learning to make decadent cheeses or turned to raising cattle, goats and sheep. With encyclopedic knowledge, they have become experts in the field and whose passion for cheesemaking borders on zealotry. 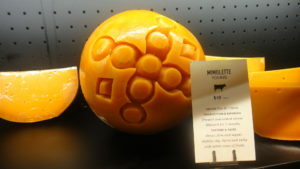 Yet, their fanaticism of cheese has led down a path to perfection, allowing them to compete with the European heavyweights let alone others elsewhere in the U.S. The fest featured its own big names. 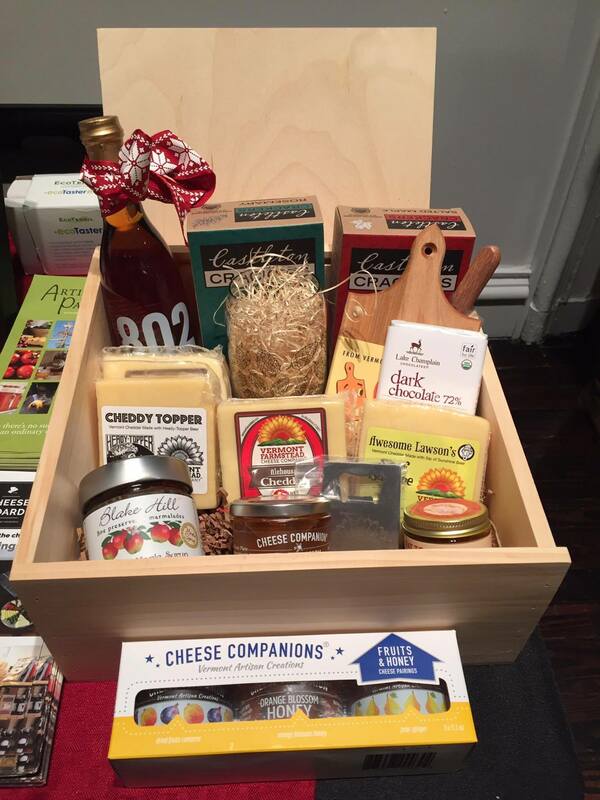 Award-winning Vermont cheesemaker Consider Bardwell Farm proudly displayed familiar favorites from its repertoire including raw goat milk Manchester and Danby and the beloved melty classic cow’s milk Pawlet. The unmistakable pungent aroma of its latest wash-rind contender, Experience, was a special treat and one of the evening’s best. Gooey, sweet, nutty and creamy, it is a cheese-lover’s paradise. Cellars at Jasper Hill, one of the evening’s headliners offered tastings of some of its best cheeses including: Harbison, a soft creamy cow’s milk, Bayley Hazen Blue, a raw milk almost lighter version of Stilton, and Cabot Clothbound cheddar, which was one of our favorites of the entire evening. It has a beautiful nutty aroma with a perfect amount of salt and a heavenly balance of creamy and sharp flavors, which still kept coming through even after we finished eating. Among those present at the town hall were the farmstead producers or cow-to-cheese makers. They outsource little while taking charge of everything. Unlike dairy farmers who sometimes produce cheese on the side when they have a surplus of milk, the farmsteaders are only concerned with the betterment of their products. Hence, they produce the best milk only to make the best cheese. Vermont Farmstead Cheese Co. has 60 cows on the farm. 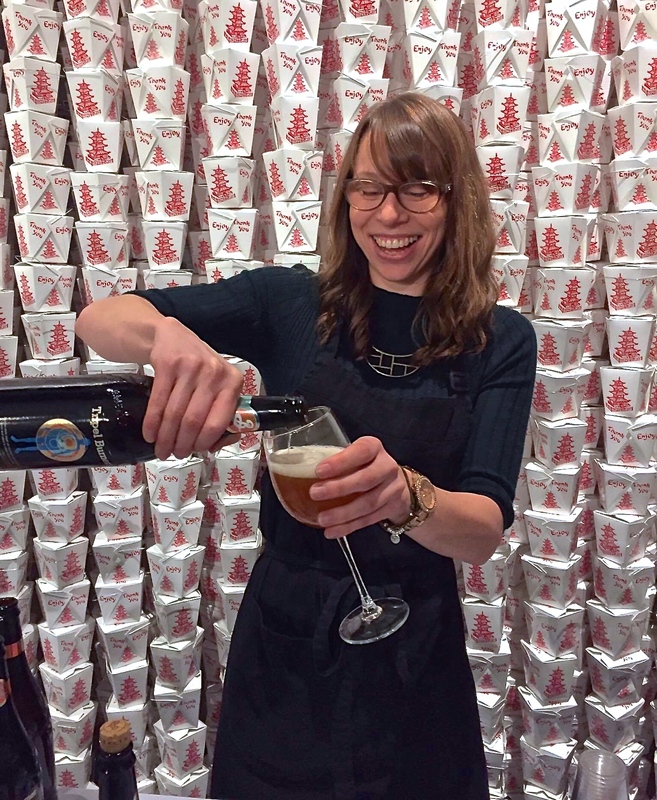 While all the cheeses were great, the hoppy beer-aged AleHouse Cheddar was a true revelation. For me, it really worked with just a slight yeasty, grainy perfume. I washed it down with a gulp of Finback IPA and looked for the next bite. Very clever. 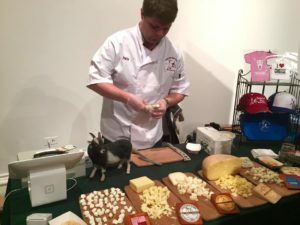 Upstairs at the Town Hall, Swiss import Daniel Meier of Meier’s Artisan Cheese of upstate New York showcased his tangy, slightly salty River Bend Cheese curds among others. 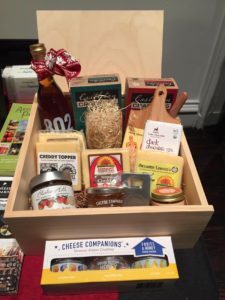 Currently in its sixth year, the farmstead cheese maker won the NY State Fair for his Gruyère and Whiteface Cheddar. 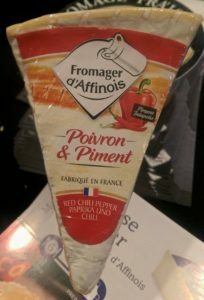 My favorite was the red pepper cheddar which had just the right amount of heat. 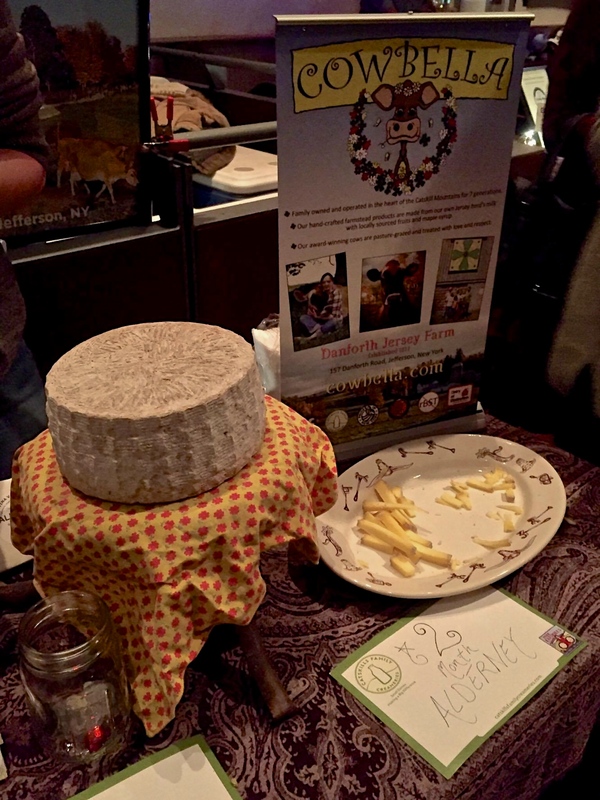 The passion of farmstead cheesemakers often transpires to loyalty of the region . Ambitious yet sentimental, they are aware that they are the lynchpin holding together the local economy and therefore must forge new alliances in order to support the regional farms. Deep in the Catskills, Cowbella and Bovina farmstead cheese makers in Jefferson, New York, combined forces in order to take their operation to the next level of eventually producing creamy, greek-style yogurt. It was hard to fight the lump in my throat as I listened to their story of these two unsung heroes who banded together in part because of ambition but also to continue to support local farmers in the area. 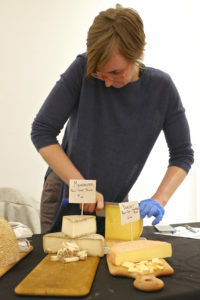 Their delicious Alderney cheeses were a joy to eat. The personal story of local passion only added to overall experience of sampling the cheeses. There were no shortage of interesting collaborations at the Northeast Cheese & Dairy Fest including Italian-style Tumino Cheese Company from the Finger Lakes who teamed up with Cornell University’s pilot program of cheese incubation. While the Old Grey Mare, a basic tomme, and the Song infused with juniper berries, were really enjoyable, the fiery Razzle’s Choice was a step too far for my liking. The chili just took over. There was more than just sampling cheese. Of the many surprises: Mexican restaurant, Casa Del Chef of Woodside, Queens showcased an amazing puréed soup, a beautiful medley of roasted, butternut, acorn and spaghetti squashes and kabocha pumpkin – finished with a foamy light goat cheese. Beloved M. Wells Steakhouse of Long Island City dished out the creamiest, cheesiest, mashed potato ever that was so incredibly light and heartwarmingly wholesome. As the evening drew to a close and our bellies full, it was time to go, but the beautiful aromas and lovely flavors happily lingered on our palettes. With so many cheesemakers participating, this year’s Northeast Cheese & Dairy Fest was truly special. Don’t miss the upcoming 2017 Charcuterie Masters at Flushing Town Hall in February. 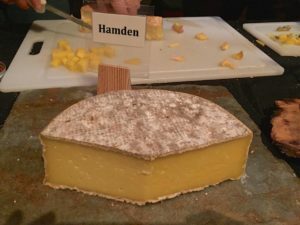 Review: “The purpose isn’t just to sell cheese, the French Cheese Board is to promote and answer questions from the public,” said one of the girls buttering slices of baguette with salted beurre from Paysan Breton. Its texture was a perfect mélange of creamy butter and tiny crunchy salt crystals, yet perfectly balanced in flavor. 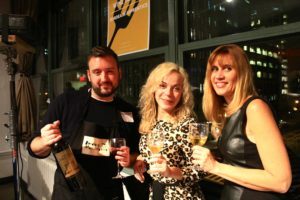 Since 2014, the French Cheese Board has won the hearts of New Yorkers with popup sales and exclusive pairing events that have brought excitement and inventiveness to French cheese. 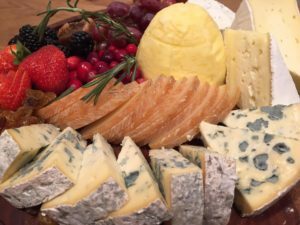 With competition from other European countries and American artisanal cheesemakers, especially from Northeastern United states, the French Cheese Board has continually reinvented itself as a cheeselab and lifestyle trendsetter. 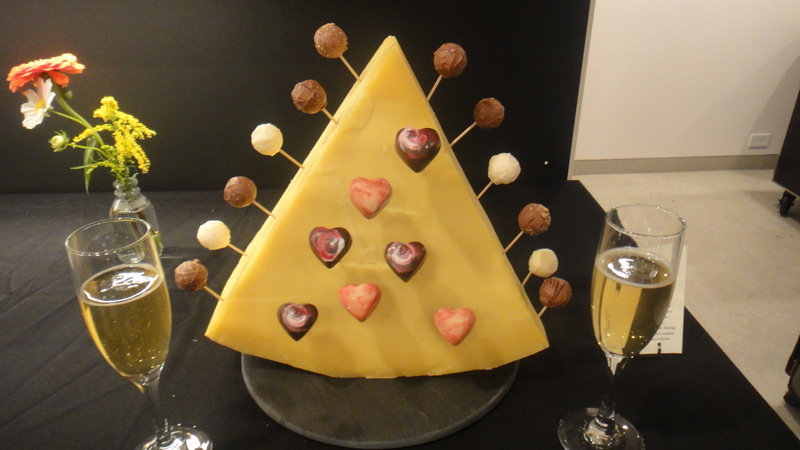 Daring chocolate and Japanese tea pairings with cheese and experimental food art events have both challenged and delighted our senses in unimaginable ways. The shop in SoHo had the usual suspects of cheese heaven: Slabs of raclette stacked like gold bars and mountains of brie, Cantal, Petit Basque and Bleu d’Auvergne displayed nicely as guests streamed in. And of course, there was the golden Rolls Royce of them all, Mimolette – normally retailing at about $35 a pound at Murray’s Cheeseshop. Today, orange slices like fruit from the gods adorned a mini shrine ready taste. 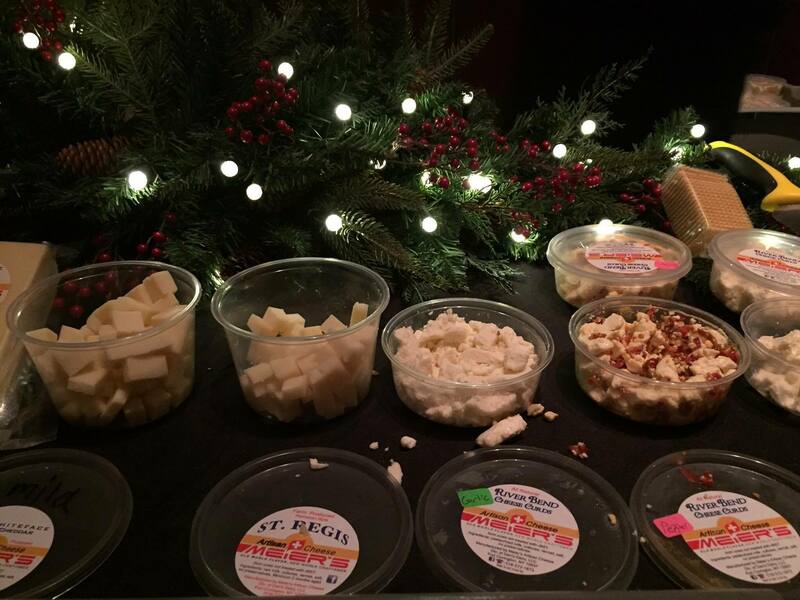 All of the cheeses were generously portioned, with few exceeding $5. There were exciting newcomers amid the selection of French cheeses. 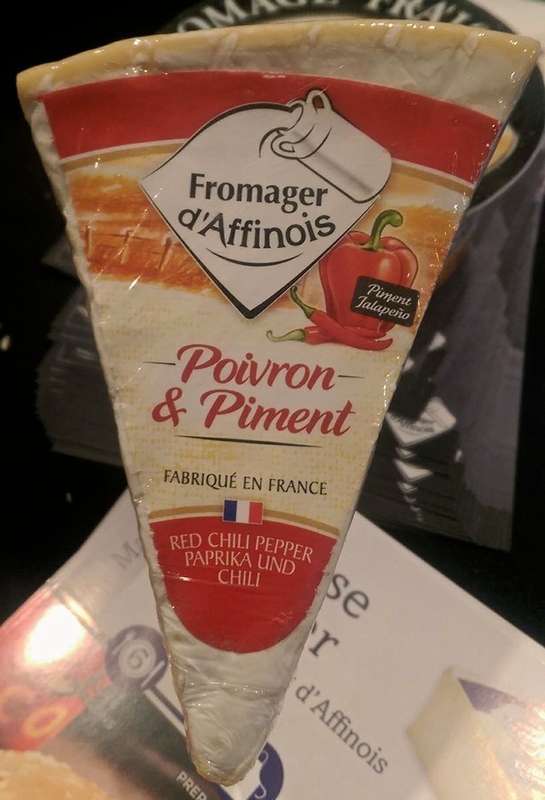 The Fromager d’Affinois Poivron et Piment was an unexpected treat. Zesty, vibrant and with a hint of bell pepper sweetness and chili heat, it would make the perfect showstopper on a holiday cheeseboard. The second was a light, creamy Fromage Frais flavored with Mirabelle fruits. Just imagine, the lightest, creamiest yogurt with a golden plum sweetness. It made the sale all the more special. Unfortunately, the word had not gotten out about the sale. Except for a tweet, there was little mention elsewhere of the event. And where were the “sippings” that the Cheese Board had advertised on Twitter? There wasn’t any wine offered like before. 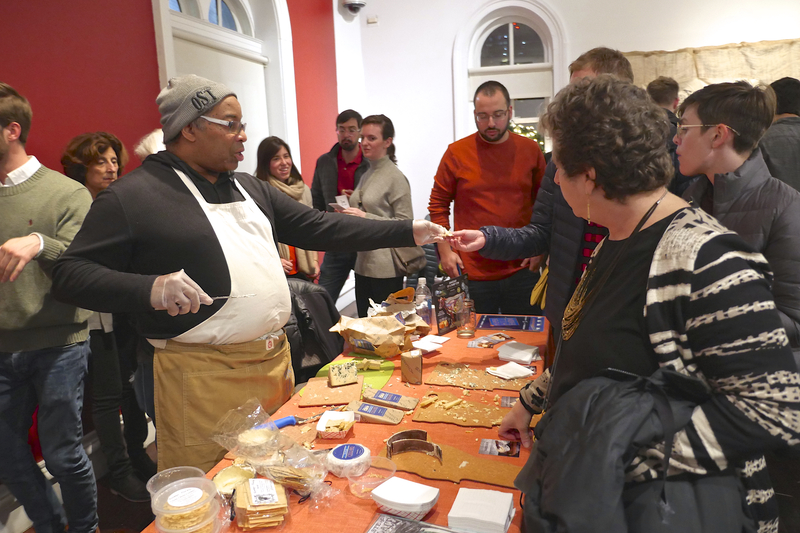 Gripes aside, the popup sale featured a wider variety of cheeses with delicious, new flavor combinations, proving once again the versatility and daringness of traditional French Cheese. Bottom Line: Too often the preserve of those in the industry, Bordeaux Matchmaking invited the general public to a rare and fun opportunity to swish some wine, savor and learn about the region of Bordeaux, France. Review: Tucked away on the third floor of a SoHo office building sits fashion photography company Splashlight Studios, where models are often seen playing pool in the reception between photo shoots. 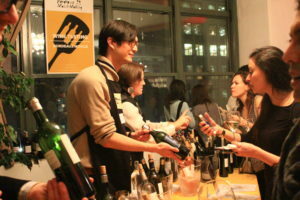 This evening was different as guests queued in for an exclusive sampling of affordable French wines. 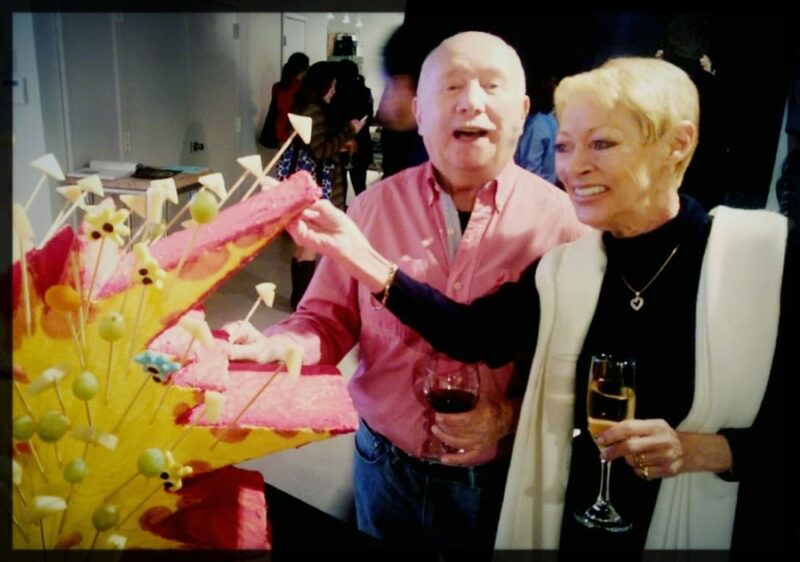 With the goal of seducing the American public to the beauty of Southwest France, the Bordeaux MatchMaking soirée was a joint effort by Vins de Bordeaux, NYC swanky socialites French Tuesdays, reputable French wine distributor Baron François, and other movers and shakers in the industry including Uriell Feuillard of Le Pif, whose family has been in the wine business for generations. 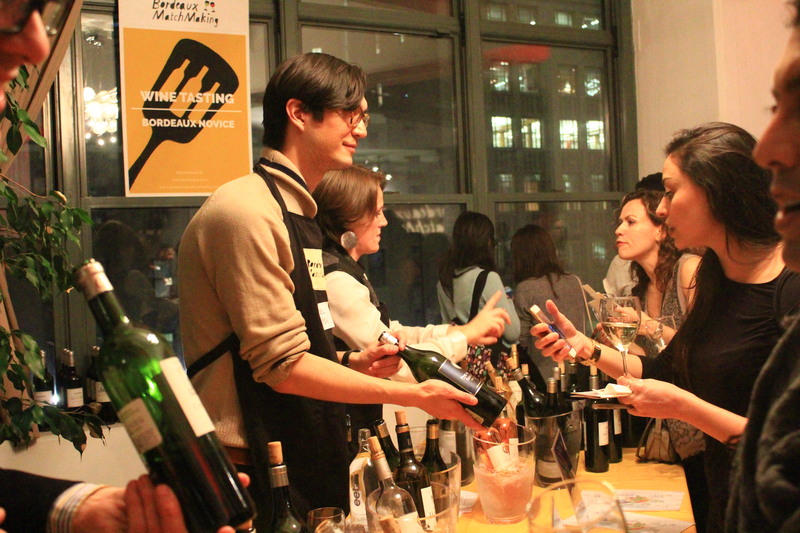 Far from a horrid speed-dating hell, the only matchmaking here was between people and wine. 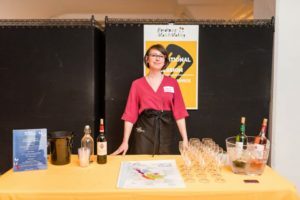 Depending on one’s preferences selected when registering for the event, guests had up to 1o tastings from one out of four tasting tables pre-designed to suit their tanic palettes. 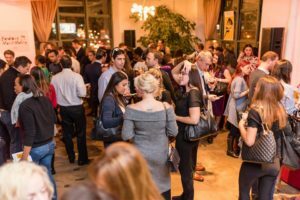 There was plenty of mingling over a glass, while the DJ spun classic beats along with today’s Francophone stars like Stromae. Our table featured whites, rosés, sweet nectary Sauternes and my favorite reds, which included: the Sauvignon-Merlot blend Haut-Médoc Château Cantemerle 2012 and Château Grand Jean 2012 which had a higher Merlot content, giving it an earthier, chocolatey note. While both delicious, my favorite was the Grand Jean, which retails at $10, less than a third of the cost of Cantemerle. Quel bargain! 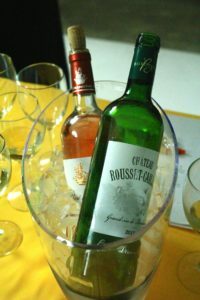 After sampling the spread of hors d’œuvres, we went to one of the complimentary classes to discover more about Bordeaux. 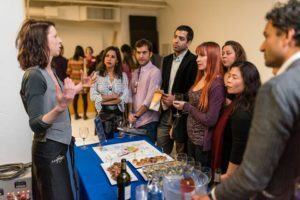 Sommelier and wine writer Carson Demmond guided our group of 10 through the ropes at the beginning-level course, which began with a small introduction to the region. wine roster has some of the most expensive red wines in the lot including the famous: Pétrus, Pomerol and Margaux, which could cost you an arm and leg. In fact with nearly 6,500 winemakers, red wine accounts for nearly 86% of the wine produced in Bordeaux. As the Gironde Sound forks into two rivers: Dordogne and Garonne, the land is primarily divided into four parts: the Haute Médoc where some of the most expensive wines are made, the Left Bank or Rive gauche, Right bank or Rive droite and the Entre deux mers, or land between two seas. The latter being where some of the best affordable whites are made. For our mini class, each wine had its own pairing including a fruity Rosé de Giscours 2015 with a mini croque monsieur, and a beautiful blanc from Château Rousset Caillau 2015, both retailing each at $18 and $16. The white was a seriously delicious find. It paired beautifully with a rich lobster bisque canapé. With 60% Sauvignon and 40% Semillon grapes, it was a perfect foil that cut through the richness of the bisque while accenting the lobster’s sweetness. For the final wine in the workshop, Carson, poured us each a glass of a $45-priced Fleur Cardinale 2012 (a particularly good year for Southern reds! ), which paired wonderfully with sirloin and caramelized shallots sitting in front of us. While it had a strong bouquet, the dominant Merlot and complimenting Cabernet Franc and Sauvignon grape flavors gave it a structured taste, but ironically with a smooth, clean finish. It carried the grilled sirloin to a new level. As the evening wound to a close, the buzz in the main room was still in full swing. Waiters served the patrons moist dark chocolate cake wedges while people mingled and danced. Down to my last ticket and running low on fuel, it seemed only fitting to have a final slurp of the sweet Château Petit Vedrines, Sauternes 2012 to wash down my cake. 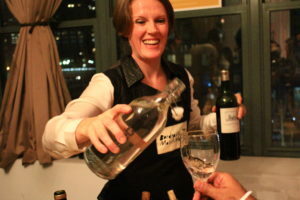 The sweetness of the Semillon grapes lingered happily on the palette long after leaving the party. I can’t remember a wine tasting being both this fun and informative. For more information on upcoming events, visit Vins de Bordeaux. 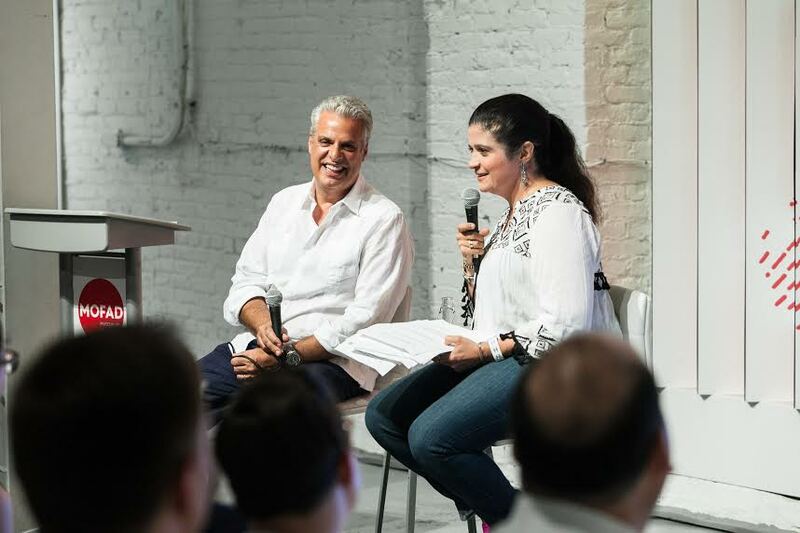 Bottom Line: With a humble introduction to food, Lior Lev Sercarz, founder of La Boîte Biscuits and Spices, never had imagined a career in the food industry. 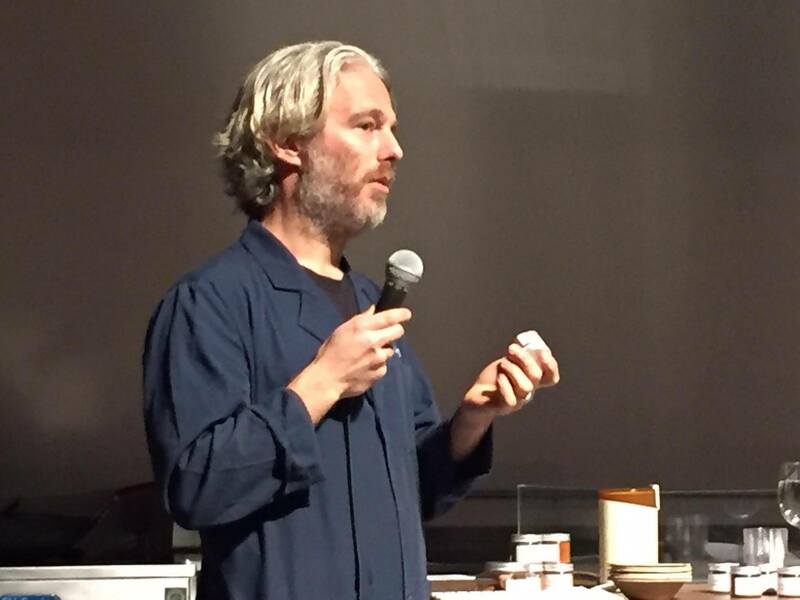 Today, however, he is regarded as one of the world’s most knowledgeable spice masters. 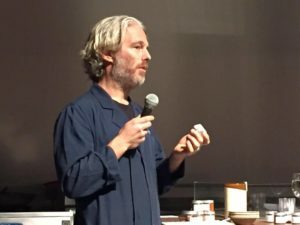 At MOFAD, he presented his latest book, The Spice Companion, a 300-page testament of painstaking research, experimentation and philosophy of flavor. Review: “You season with sodium and heat, not salt and pepper,” Lior Lev Sercarz fixed us with a gaze. The audience looked at each other with a shrug. 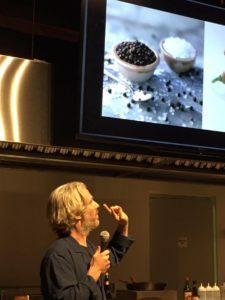 Far from just a provocative statement, however, Lior’s purpose was challenge us to consider other alternatives to building flavor. Sporting a dark blue lab coat and beard, Lior almost looks like an alchemist dabbling in the unknown. Affable yet focused, he speaks with a slight Israeli accent with a French twang. In spite of his knowledge of spices, he confesses that he is still discovering new blends. “I don’t claim to know everything, but I keep experimenting,” he said. Through exploring the world, meeting with producers and collaborating with renown chefs like three-Michelin starred Éric Ripert of Le Bernardin and more recently The Brooklyn Brewery, he has turned his company La Boîte, into a spice lab and test kitchen. 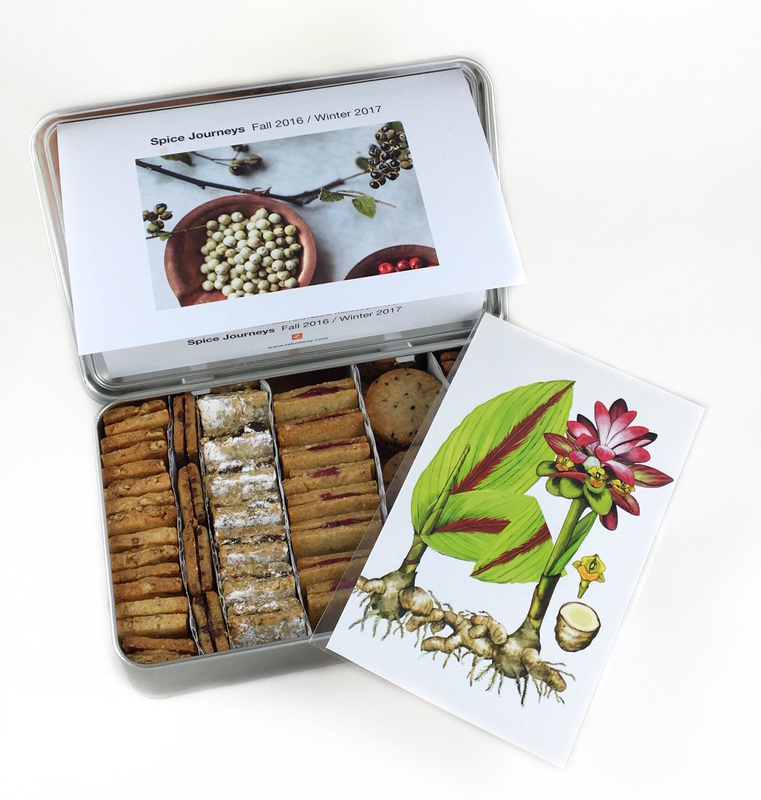 Selling upscale biscuits and spice mixes on one end, it also offers workshops for those keen to learn the art of spice blending. Lior decided to become a cook and traveled to France, where he enrolled at the Institute Paul Bocuse culinary school in Lyon before working under the forward-thinking chef Olivier Roellinger of Cancale in the North of France, who blended superb local produce with exotic spices, practically unheard of in France at the time. It was Olivier who taught him his most valuable lesson to experiment with flavor. “How do you do know if the spices work? Taste.” he said. Olivier taught him to go beyond conventional wisdom of relying on only salt and pepper. “You can get sodium from soy sauce or seaweed.” he explained. And for heat, chilies can be an interesting alternative to just plain black pepper. “There are also other kinds of pepper that come from the same plant: green, white, red and black depending when they are harvested.” Each has its own unique flavor. His biggest gripe, however, is with the predestined soup, fish and meat seasoning jars that are available at supermarkets. Taking a leaf from Olivier’s spice playbook, Lior said people should try making their own combos rather than relying on someone telling them what to think. At La Boîte, Lior’s has created exotic mélanges such as Bombay and Marrakesh that challenge the senses with seemingly unusual but compatible spice combinations. 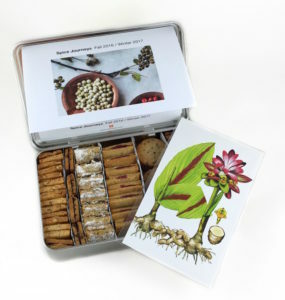 Spices are not limited to just food. The Tripel Burner a lightly spiced Belgian-style ale, a concoction made with Sercarz’s spice magic and Brooklyn Brewery’s mastery was an amazing feat. Subtle and smooth, yet perfectly balanced in flavor and refreshingness, it could accompany almost any dish, even a dessert. The star of the evening, of course, was his book. 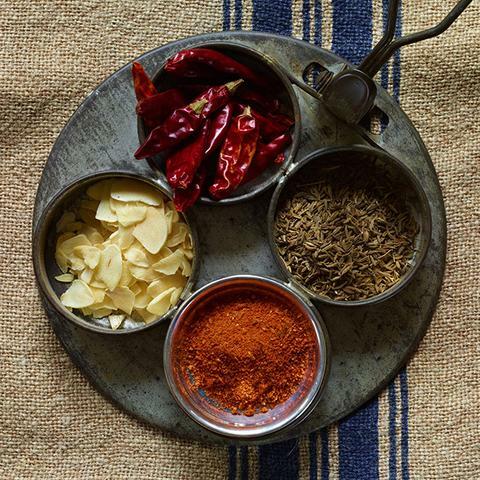 With over 300 pages devoted to flavor, The Spice Companion, meticulously chronicles nearly every spice he has worked with. Complete with intriguing descriptions, it is beautifully edited and incredibly informative. It is not, however, a recipe book. Similarly to the quintessential must-have kitchen classics: Of Food and Cooking by Harold McGee and Trucs de Cuisiner co-written by Bernard Loiseau, Sercarz’s The Spice Companion covers spices and techniques rather than recipes. The rest is up to the user to develop. There are no rules, according to Lior, it’s all about experimentation and discovery. For upcoming events and spice workshops, please visit La Boîte. 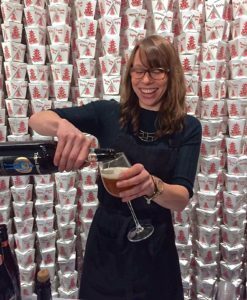 And don’t miss MOFAD’s beer and cheese pairing night with the Brooklyn Brewery Thurs. Dec. 8.